Nowadays, it’s practical to choose a budget treadmill, but sometimes it’s hard to trust their quality. With the Fitnessclub Folding Manual Treadmill, you should leave all your worries behind because this product truly offers excellent value for your money. As an entry-level treadmill, it only has a few features which make it simple to use, and that is important especially for beginners. 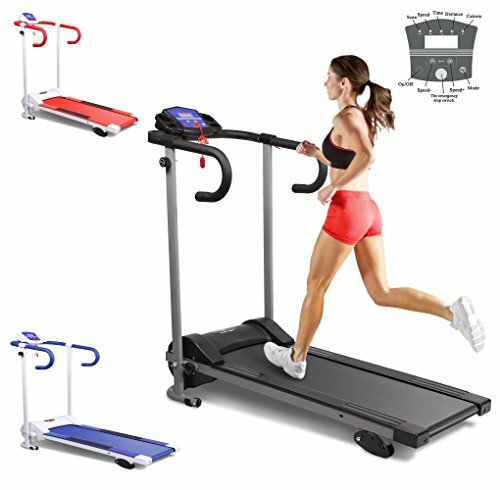 Keep on reading as I look more into the characteristics that this manual treadmill has to offer. 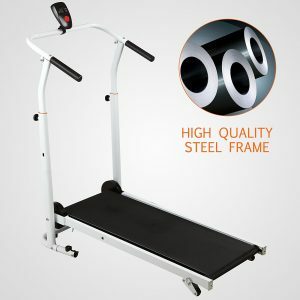 Even though you won’t be spending a lot on this treadmill, you are still guaranteed of a sturdy item because it’s made of a high-quality frame. The Fitnessclub Folding Manual Treadmill is incredibly sturdy, and it can hold users with a weight of up to 150kg – it’s even more stable than more expensive models. However, because it’s not motorised, you will have to manually drag the deck to make the most out of your exercise. 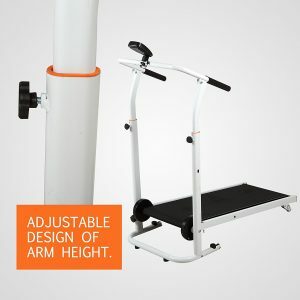 It’s a good thing that the Fitnessclub Folding Manual Treadmill offers an adjustable arm height. This feature can help you find your most comfortable position, especially if you are tall. Adjusting the arm height won’t only allow you to have easy access to the handlebars, but it also helps you to closely keep track of your progress on the LED display screen. This treadmill also has soft and convenient handlebars that will keep you safe and balanced throughout your workout. The handlebars also provide your hands with a comfortable resting place while you keep your lower body busy with the exercise. The Fitnessclub Folding Manual Treadmill can fit any budget, but the brand didn’t compromise the overall quality of the product. Its running belt is wear-resistant meaning it retains its quality even if you use it regularly for the longest time possible. This treadmill also gives you the option to add an inclination of up to a maximum of 10%, which can help burn calories faster and reduce pressure on your joints. You don’t have to worry about having limited space in your house because there are a lot of compact treadmills that can fit your home. The Fitnessclub Folding Manual Treadmill measures 105cm x 53cm x 115cm making it suitable even in the smallest corners of your house. 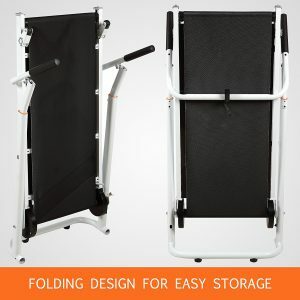 When it’s not in use, you can quickly fold it upright, and it also has built-in wheels so you can transport it anywhere without struggling to lift it up. If you’re seeking for a treadmill that will allow you to do fast-paced running, this isn’t the one for you. The Fitnessclub Folding Manual Treadmill is intended for those who only want a gentle exercise inside the comfort of their homes. Since it’s not motorised, you may feel like it’s heavy at first, but you’ll get used to it eventually. With the help of this treadmill, you won’t have to spend monthly subscriptions on the gym, and you don’t have to worry about the weather if you like walking outdoors. The V-fit MTT1 Self-Powered Folding Treadmill is made of an epoxy-coated robust tubular frame, and it has a maximum weight capacity of 100kg. The brand boasts products that comply with the latest European Safety Standards as well as the demands of Environmental Regulations, which means you’re guaranteed that they’re high-quality. This treadmill isn’t also motorised, so it’s affordable. However, it still has integrated pulse sensors, which is rare on budget treadmills. It doesn’t have any incline options, but it has a fixed incline at 8%. V-fit MTT1 Self-Powered Folding Treadmill Detailed Review? CLICK HERE. The Confidence Fitness Magnetic Manual Treadmill is also non-motorised which means it’s equally affordable. This model looks simple, but it has a unique feature. 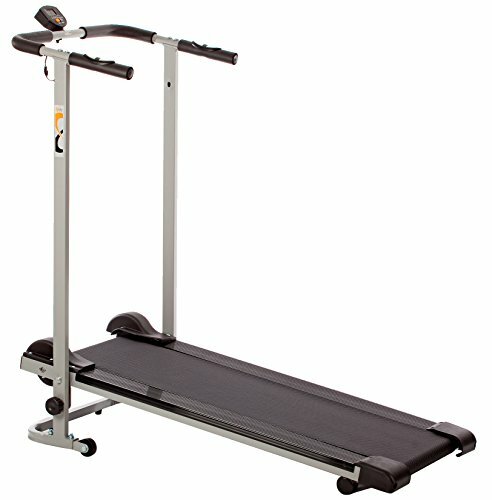 Aside from its unique handlebar, it also has eight levels of magnetic resistance, even though it’s a manual treadmill. These smooth and quiet resistance levels will help you achieve better and faster results than on normal resistance. Its maximum user capacity is 100kg, and it’s also compact and of course, foldable. But if you think a manual treadmill is not for you, you can consider this Hi-Performance Electric Treadmill. It’s a basic treadmill that’s made of high-quality materials which make it solid and durable, with a maximum weight capacity of 100kg. 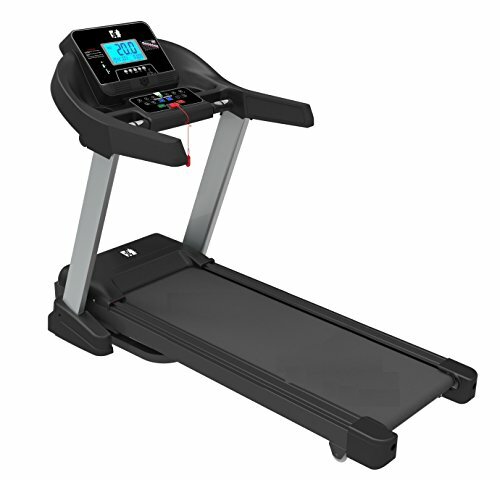 This treadmill is driven by a quiet 1.0HP motor that makes it go up to a top speed of 10 km/h which won’t challenge athletes but will provide a great start for novice users. It offers three manually adjusted incline levels to add intensity to your workout and help you burn more calories. 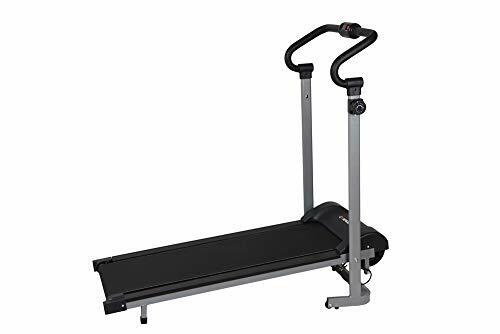 The FIT4HOME X – Lite Stride 786A Treadmill is quite more expensive than all the other treadmills I mentioned, but it surely is worth every penny. This model looks very sleek at first glance, and it has all the features anyone is looking for in a treadmill. It’s very stable with a maximum user weight of 130kg, and it can reach a maximum speed of 20 km/h. 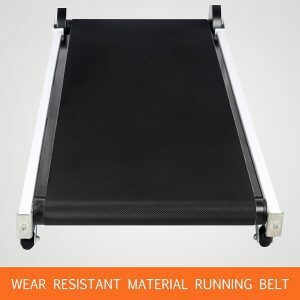 If you’re tall, your movements won’t be restricted on this one because it’s running area measures 130cm X 48cm and it’s also integrated with a soft spring which contributes to a comfortable workout. It also has integrated pulse sensors, and it’s delivered to you 95% pre-assembled. You don’t need to splurge to get a good treadmill for your home gym. 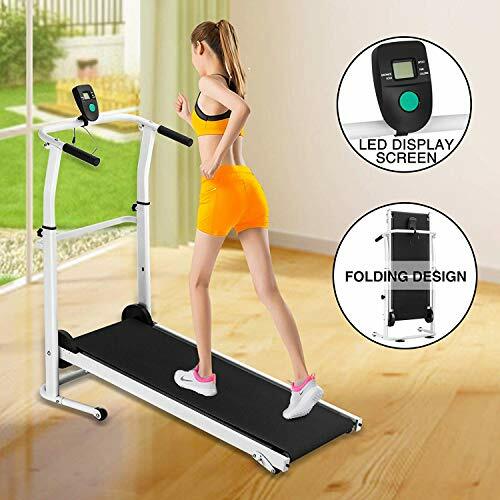 The Fitnessclub Folding Manual Treadmill has the most basic features you can find on this kind of fitness machine, but it can still provide an effective workout for beginners and seniors. With its highly affordable price, it can fit any budget and most importantly, it’s suitable even for the most limited spaces because of its compact and foldable design.